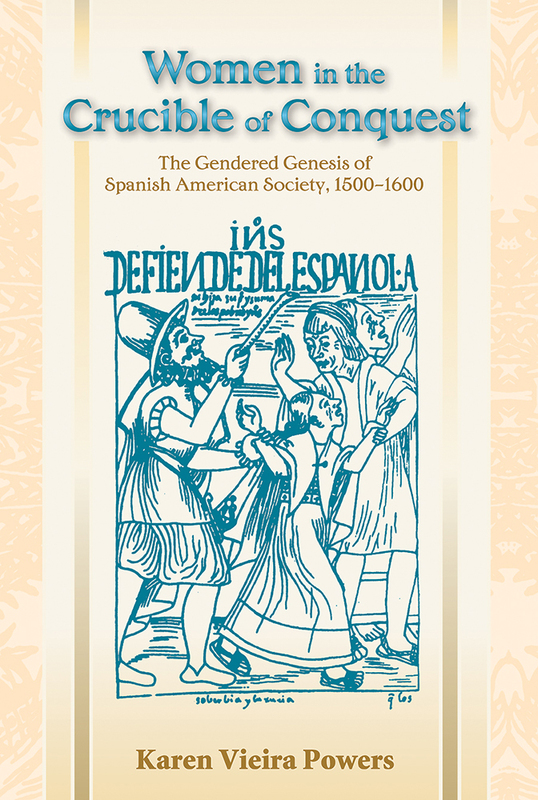 The evidence of women in the Americas is conspicuously absent from most historical syntheses of the Spanish invasion and early colonization of the New World. Karen Powers's ethnohistoric account is the first to focus on non-military incidents during this transformative period. As she shows, native women's lives were changed dramatically. Women in the Crucible of Conquest uncovers the activities and experiences of women, shows how the intersection of gender, race, and class shaped their lives, and reveals the sometimes hidden ways they were integrated into social institutions. Powers's premise is that women were demoted in status across race and class and that some women resisted this trend. She describes the ways women made spaces for themselves in colonial society, in the economy, and in convents as well as other religious arenas, such as witchcraft. She shows how violence and intimidation were used to control women and writes about the place of sexual relations, especially miscegenation, in the forging of colonial social and economic structures. "During the colonization process, indigenous women suffered, perhaps, the most precipitous decline in status of any group of colonial women. For this reason, and because they were numerically superior to all other women, I have chosen to make them the heart of this book. Nevertheless, the work also treats Spanish women, racially mixed women (mestizas, mulattas, zambas, etc. ), and African women." Karen Vieira Powers is associate professor of Latin American history at Arizona State University, Tempe.